Connect to floating or fixed docks with the selection of accessories and anchoring options. The Connect-A-Port / Dandy Dock comes in five colors options to match your dock. 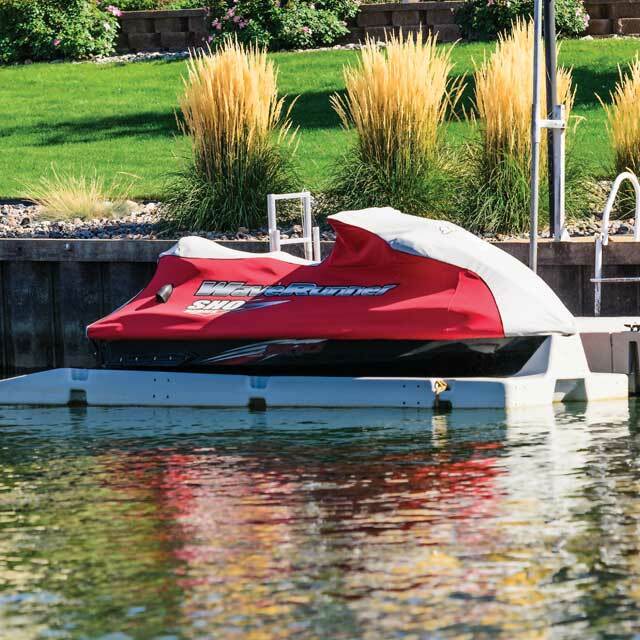 This Jet Ski Port can be installed to virtually any floating or fixed docks. 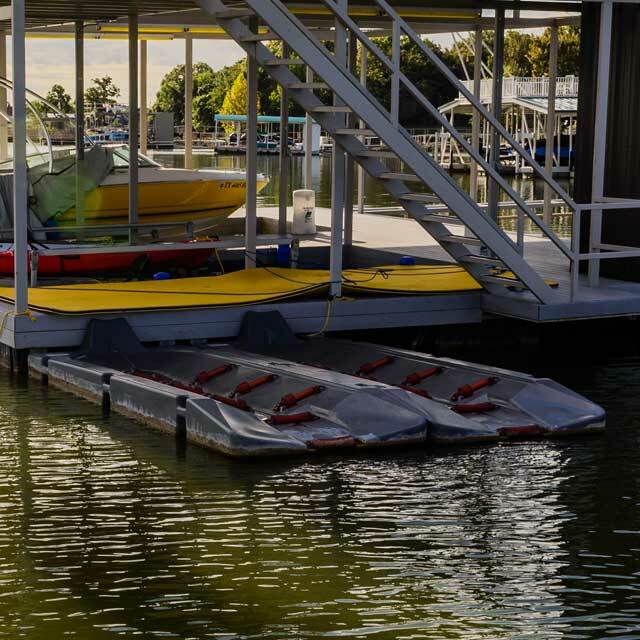 Floating dock installations will use a set of metal hinges while fixed dock installations will use 2” poles and pole connectors. Need a little more floatation for your Port or extra walkway? 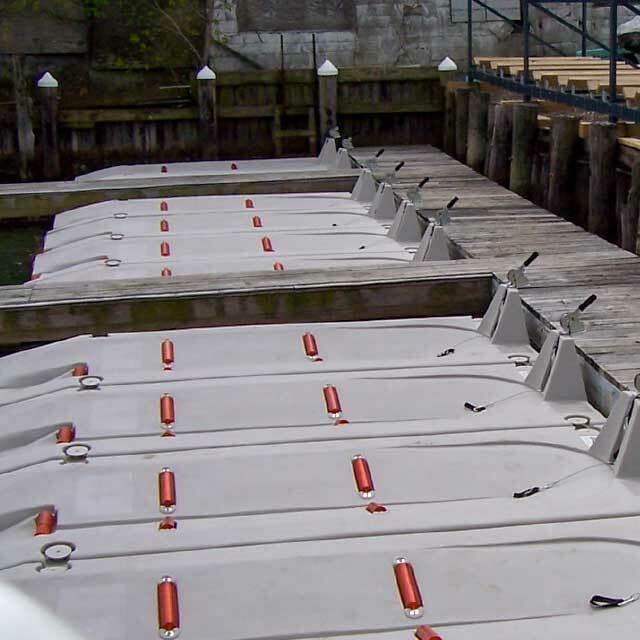 Looking for 1,2,3 or 4 seat PWC docking system? Then Connect-APort 2Xl - Dandy Dock 2XL is the port for you, universal hull support makes docking Jetski, Sea-Doo or Waverunners easier with the added length and Stoltz Keel & Bow rollers. Idle up to dock...roll off to launch. Do you have more then one Personal Watercraft? If so when placing ports together, check out a Side by Side Kit. 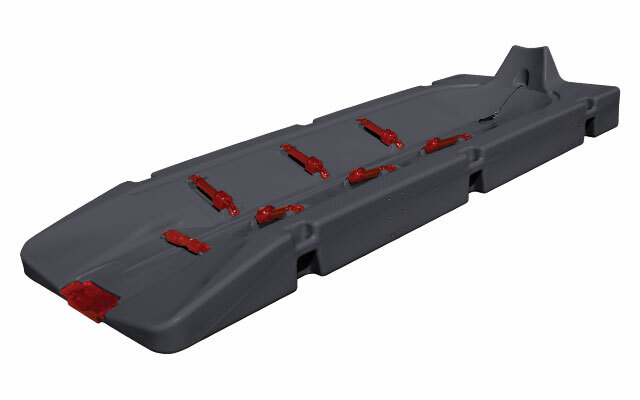 Buy online - a variety of Jet Ski Port accessories! 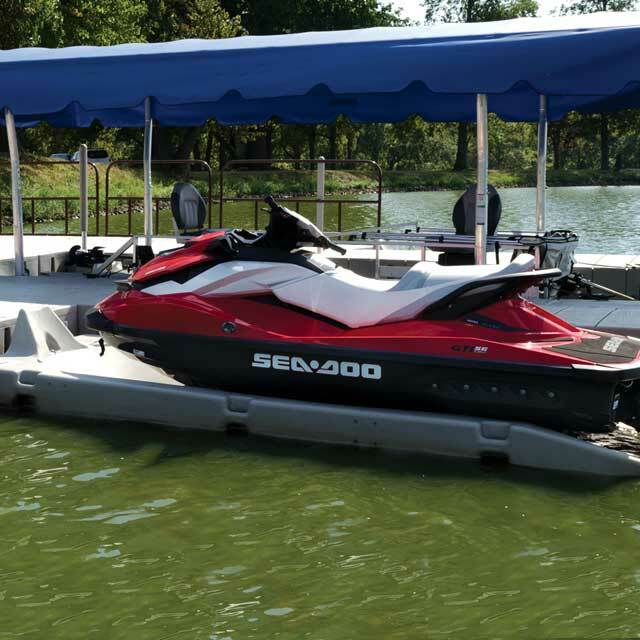 Fixed dock or a variety of floating docks can attach Dandy Dock jet ski ports, made from ultra tough polyethylene plastic and come	in five stylish colors. Also take a look at the different accessories options. The on the PWC port. Dandy Dock is a floating PWC docking system, so as water levels change the port will adjust to current water level.